If you're still dealing with clogged pores up until now, you might want to add another product to your grooming routine: milk. Don't directly apply it on your skin, though. Instead, drink it like a normal person would. A study published in the Journal of the American Academy of Dermatology suggests that drinking full-fat milk could help banish acne. The researchers studied 225 participants, aged 14 to 19, with either moderate acne or no acne. All of them drank different kinds of milk, from low fat to full-fat milk. 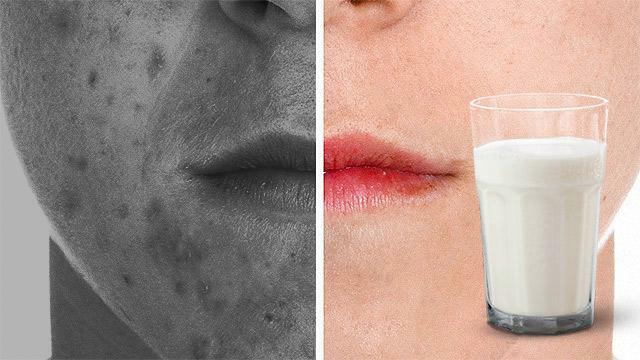 Ultimately, here's what they found out: Participants who consumed low-fat milk were more prone to acne with them saying that "consumption of low-fat/skim milk, but not full-fat milk, was positively associated with acne." The possible explanation? Skim milk is believed to be higher in proteins that increase insulin levels in the body, which in turn stimulates the sebaceous gland that leads to pimples. The researchers found that wasn't the case for people who drank full-fat milk. "Milk fat, although containing saturated fats, also contains numerous medium-chain fatty acids beneficial in promoting healthy metabolism and decreasing insulin resistance," the study explains. If anything, the results show that full-fat milk isn't as bad as skim milk supporters make it seem. It has its benefits as shown by this study.